What does Wholeness mean in the context of Teal Organising? 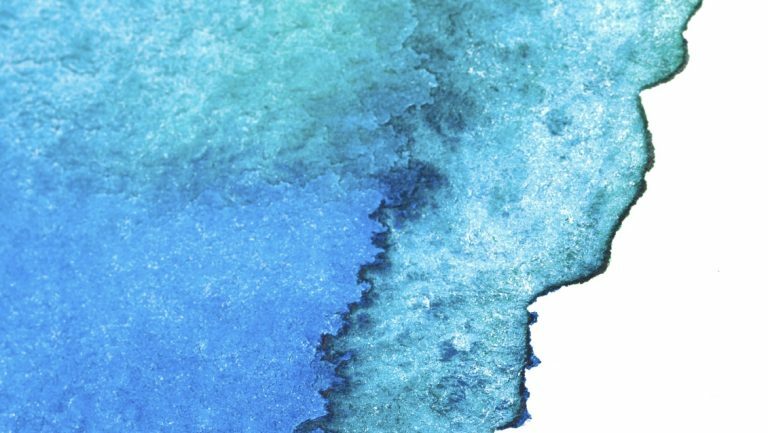 Here at Future Considerations, we are engaged in an inspiring and challenging exploration of how to practically apply the insights from the work of Frederic Laloux and his best-selling management book “Reinventing Organizations”. This exploration is taking place both internally, as we evolve to the next stage of ‘teal’ organising at Future Considerations, and externally with teal-orientated clients, practitioners and collaborators. The term ‘teal’ or ‘teal organisations‘ refers to the new paradigm or level of consciousness from which the leaders and next-stage organisations operate. Wherever the exploration is taking place, there’s one thing in common: there’s some big questions being asked and new ground being charted. One such question is what does Wholeness mean in the context of ‘teal’ organising? Wholeness for Individuals: What is wholeness for individuals within their organizational context? Wholeness for Organisations: What is wholeness for the organization as a living system, an organism in its own right? My colleagues and I have had some really interesting conversations internally, and this blog post is both a culmination of our thoughts and a focus on the first lens: Wholeness for Individuals. Laloux then goes on to explain that teal organisations have developed a consistent set of practices that let their people “bring all of who they are to work” – including the “emotional, intuitive and spiritual parts of ourselves.” These are practices that enable us to bring our whole selves to work- hence the term ‘wholeness’. 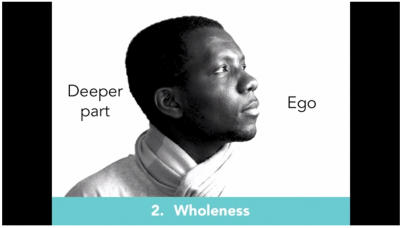 Click on the image left to watch Laloux talk about Wholeness. 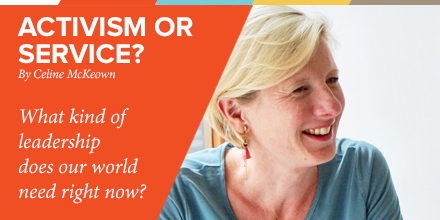 How do we understand what wholeness means not just for ourselves, but also for others? How do we know if our sense of wholeness is shared? How do we select and evaluate our ‘wholeness’ practices? How do we find a common language and common points of reference to discuss such a deeply held personal experience? How do we enable groups and individuals to work through this? Wholeness is about being human. Wholeness is both a personal and collective experience. We each derive our unique sense of what it means to be whole. And this personal experience exists within our collectively held experience of wholeness at an organisational or societal level. Laloux explains in his book that people, organisations and societies are evolving through different levels of consciousness, also known as action logics or levels of vertical development. 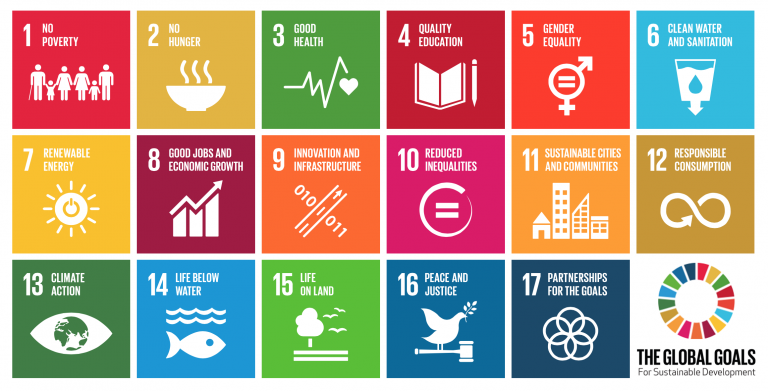 So how we experience the world is related to the stage of development we are at personally and collectively– what seems subjective and individual is also a step in a wider unfolding of human development. Julia Fell says that “If individual wholeness is about being who you are, bringing your specific gifts and talents, according to your own specific work/life demands, in your own style, then this represents a challenge for organisations. The ‘teal’ organisation has to work with individual expressions of wholeness and ensure that that contributes to the wider interests of the organisation.” This is about finding the right balance between individual and collective needs, the connection between individuals and the organisation’s evolutionary purpose. Wholeness –can we evaluate it? How do we have conversations about wholeness? Imagine your organisation or team introduces a new wholeness practice. How will you know it’s working for you and others? How will you even begin to find a common language to share your experiences beyond “It works for me” or “I don’t like it”. I am curious to investigate what tools or frameworks are available to us. 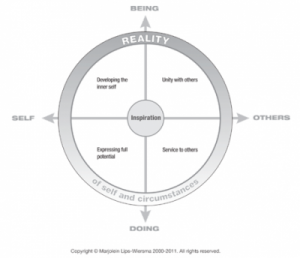 One such tool is the Map of Meaning developed by Professor Marjo Lips-Wiersma and Lani Morris. What’s important to me as a human being? What can I do to get it, get it back? Whilst I don’t know if wholeness is the same as meaning, my sense is that this would be a good start to some rich conversations about how we experience wholeness at work. And how we evaluate it. Wholeness is not a state or a destination, but a process. It’s important not to confuse experiencing a sense of wholeness with the need to have a clear sense of personal purpose. (e.g “I will experience wholeness when I have reached my purpose in life”). What is important is to know when you are experiencing wholeness at work, in the same way that you know when you are not experiencing it. And to actively take responsibility (personal agency) for your own experience of wholeness, rather than waiting for ‘the organisation’ to make it happen. In a self-organising world having a sense of who you are, what motivates you and what you offer (often described as connecting to your source) links back to the important notion of personal agency. In the future, ‘teal’ leaders will be those who deeply connect to the organisation’s evolutionary purpose, find their own authentic leadership based on who they really are and a clear sense of what their real gifts to the world are. This calls for a shift in their developmental journey – from an ego-centric to a world-centric world view. If you are interested in starting your journey of self-exploration into your own unique point of impact on people and planet, please contact me at celine@futureconsiderations.com for more information about our coaching & mentoring programmes for next generation ‘teal’ leaders. Equally we’d love to hear your stories of wholeness, so please feel free to comment below. The question of wholeness is often completely ignored by most leadership compentency frameworks which rarely, if ever, mention or take account of the human shadow. As Heifetz and Linksy remind us in their book, Adaptive Leadership, how we manage (or not) our vulnerabilities & fallibilities is a neglected side of leadership. 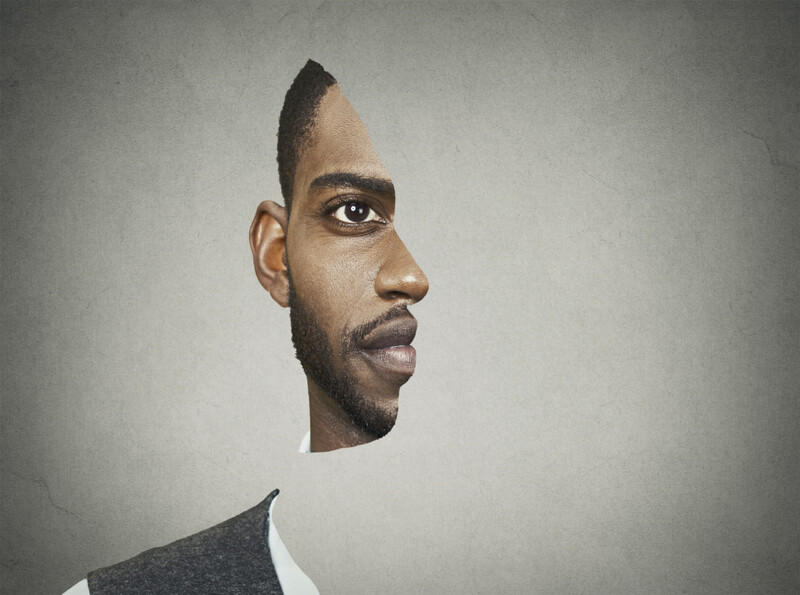 Seeing ourselves as whole people, with limitations as well as possibilities, is an important step to more vibrant, saner and healthier organisations. Thanks for the stimulus of your blog. One key question in applying Laloux’s work is the relationship between wholeness and the other two breakthroughs of self-management and evolutionary purpose. I think we can helpfully map the relationship and interdependence between the three breakthroughs using Wilber’s Integral Lens which is central to our work at Future Considerations. Wholeness in my view refers to the inner work of ‘I’ and ‘We’ quadrants, and as you say, needs to embrace the light and shadow of the individual and collective. Self-management refers to the outer practices and processes of the ‘It’ and ‘Its’ quadrants. Evolutionary purpose is a spiral at the centre of the integral model: a spiral is a appropriate symbol to represent evolutionary purpose as it’s dynamic and speaks to the relationship of the organisation’s purpose to the larger purpose which Life is calling it to fulfil. Yes that is a very useful framework to connect the 3 breakthroughs John and I love the idea of Evolutionary Purpose being a spiral between the I/We and the It/Its space. Thanks for that John – I like the mapping you offered with the integral model – this is timely and useful for us in our current work! I am particularly interested and noticing in our work the tensions around power and shadow. It is slippery and illusive. In a client conversation recently with an organization moving to self-management we talked about the ‘sneaky’ ways the client had found to still maintain power or exert control. We were able to have a good laugh at ourselves about it because we all have our ways. The capability of the organization to bring these out and talk about them and share them and learn from them will be critical to move beyond simple structure and processes shifts to truly distributed power. Thanks for the thoughtful article, Celine. I’m also drawn into an enquiry on tools which can support our awareness and understanding of wholeness and organizational/personal shadow. One such model can be found in Bill Plotkin’s book ‘Wild mind’ and in Zweig’s ‘Romancing the shadow’. Both author’s explore shadow by referring to human archetypes; allowing individuals and collectives to open an exploration into how those archetype’s may be constraining full expressions of wholeness.